Big update! BB-8 can now pose! I have now updated the model. 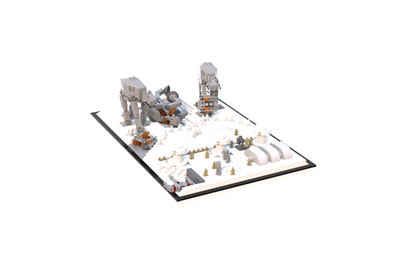 The model now consists of 261 parts. 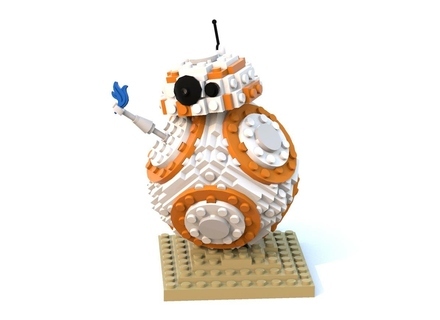 As you can see in this photo the internal structure now makes BB-8 able to adjust both the body and the head. I hope you like it! 3D render of BB-8. Managed to attach the body to the base and head with ball joints. Can adjust him just as you like. Waiting for parts now. Will update instructions and add a parts list soon! Once again I want to thank everyone who has supported the project. We have already reached 1.500, that's great! The web has been full of "can you find the panda" posts lately. So BB-8 wanted to join the party. 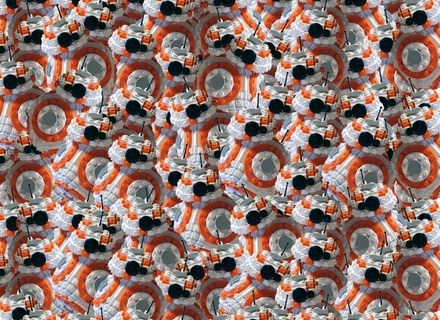 Can you find R2-D2 among all the Lego BB-8s? Once you found the droid you're looking for, share this post with your friends. 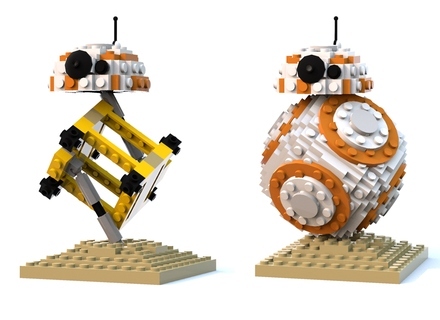 Another week has gone by and this project is now the biggest BB-8 on Lego Ideas. Closing in on 1.000 supporters. This is absolutely fantastic! I still need a lot of help with getting supporters. 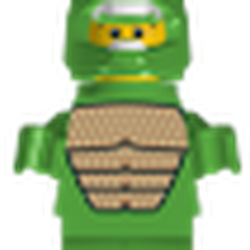 If you want this to be a Lego set, please help me any way you can! 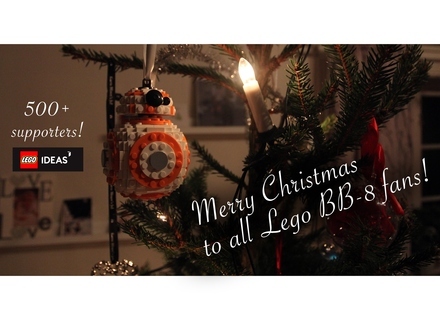 BB-8 (and I) wants to thank everyone who has supported, shared and liked posts about the project. We reached 500 supporters yesterday, in under 2 weeks! Still a way to go, but we are looking forward to get more supporters in 2016! 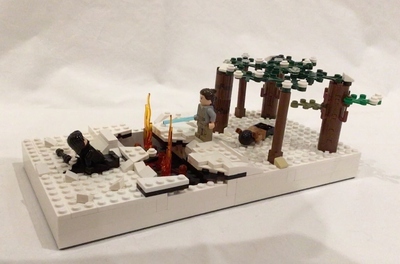 First I want to say thanks for all the support and nice comments I have gotten this first week on Lego Ideas! I am overwhelmed with all that has happened this week, and I think it is really fun that this project has gained so much attention already! Tonight I attended the premiere of The Force Awakens here in Fredrikstad, Norway. And Lego BB-8 was of course with me the whole night. I had the chance to meet Ian Liston tonight. For those who don't know mr. Liston: He played the rebel pilot Wes Janson in The Empire Strikes Back. He also had a role as AT-AT driver. I had a great time talking with him about Star Wars, Lego and BB-8. He promised me he will join in as a supporter once he gets home to the UK. Later, when we arrived at the cinema BB-8 was of course on the red carpet! And inside we met a lot of friends. Enjoy the rest of the photos, and if you share this with your friends it would be fantastic. All the help I can get to gain support would be wonderful!